Herbalife is a scientifically formulated, herbal-based, calorie-reduced nutrition program. It is centered around our unique high-energy, protein-rich, nutritional "shake" or meal replacement drink, Formula #1, to which has been added food supplements containing important vitamins, minerals, essential fatty acids and nutritional herbs. No. Herbalife's calorie-reduced program encourages participants to eat three meals daily. Two usual meals are in the form of our nutritionally balanced meal replacement drink, and the third is any meal of your choice. In addition, Herbalife has devised a seven-day recommended meal plan which is distributed with its program. Diets which require people to skip meals are unhealthy and stimulate binge eating. Definitely not! Herbalife is neither of these. Our program supplies at least 1000 Calories daily and is nutritionally complete so individuals can lose weight safely and effectively, and, just as important, keep the weight off. "Liquid protein" diets, which use nutritionally unbalanced protein-based drinks, or starvation diets, which reduce calories so low (less than 500 calories daily) that people literally starve to lose weight, are both extremely unhealthy and have less than 20% long-term success. 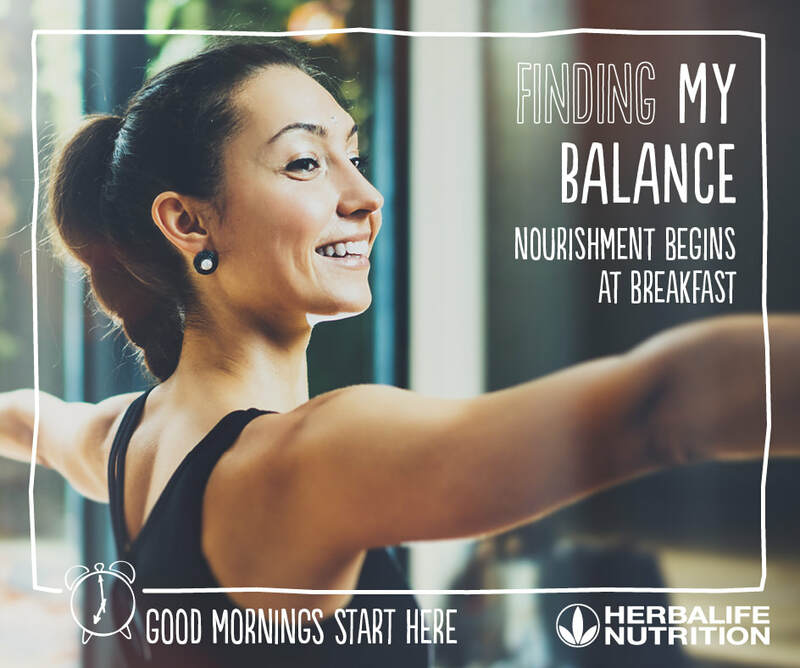 Herbalife supplies all the balanced nutrition the body needs on a daily basis. Individuals, who choose to, can lose excess weight by reducing excess calories without sacrificing important nutrients like protein, potassium and iron. As a result, they feel their best while they lose both excess weight and inches. The Herbalife program is based entirely on nutrition and herbs. The program does not use drugs, medications, hormones or other synthetic agents to promote weight loss. All ingredients in the Herbalife program must fulfil three important conditions: purity, potency and stability. This is how we maintain the high level of quality associated with the Herbalife name. ﻿﻿What Causes The Feeling Of Increased Energy? The weight loss and energy-enhancing effects of Herbalife are the result of its scientifically balanced nutritional formula. They are not due to caffeine or any natural or synthetic stimulant. Herbalife's 100% Herbal Guarana product contains pure Guarana which has a naturally occurring caffeine content of about 30 mg. per tablet (the same amount of caffeine as a small cola drink). No chemical caffeine is added to our Guarana product. ﻿﻿Are The Vitamin Levels, Like Vitamin A, High? The levels of vitamins and minerals in all Herbalife formulas are carefully designed to assure that individuals consuming them will not develop deficiencies or excesses. All of our formulas are created to assure that all individuals, regardless of their nutritional needs, receive optimum nutrition. Studies demonstrate that there are no "build-up" of vitamins or minerals associated with the use of Herbalife products, including Vitamin A. In formulating Herbalife products, we have taken special care to assure that Vitamin A levels are completely safe and never lead to accumulation, even when consumed together with a diet rich in Vitamin A. Herbs are nature's bounty. They are rich sources of vitamins, minerals, fibre and related nutrients essential for good health. The herbal mixtures used in Herbalife products have been created by experts to maximise nutritional potency. The herbs are the highest quality available anywhere in the world and are free of pesticide residues and other possible contaminants. Tableting of the herbal mixtures occurs under strict quality control to assure both purity and safety. Yes. Since Herbalife products are 100% nutritional food supplements, they are safe for everyone. Certain individuals including children, pregnant or lactating women, insulin dependent diabetics and those with compromised kidney function are advised to consult with their physician before beginning this or any other weight loss program. Has The Herbalife Program Been Tested? Absolutely. The Herbalife program has had extensive clinical testing in the United States, Germany and Great Britain. All of the studies have demonstrated that Herbalife products are safe and effective on both the short term and long term basis. In addition, each batch of Herbalife products is quality-control tested to ensure product integrity before it is shipped anywhere in the world. No. The Herbalife Weight Control Program has been specifically designed by experts and doctors in the fields of food technology and nutritional medicine so that it is completely self-explanatory and therefore does not require or expect nutritional expertise on the part of its distributors. However, the Herbalife Nutritional and Scientific Advisory Board offers its distributors extensive nutritional education in the form of literature, tapes, and seminars. Does The Herbalife Program Change Eating Habits? Definitely. The Herbalife Program promotes good nutritional habits like reducing fat, fried foods, salt and sugar in the diet and increasing fibre and complex carbohydrates. Most important, Herbalife teaches individuals how to achieve and maintain an ideal weight. It is a lifetime health program that works for everyone. Is Exercise A Part Of The Herbalife Program? Herbalife encourages participants to follow a healthy lifestyle that includes good nutrition, regular exercise, moderation in the use of alcohol and avoiding tobacco use. The Herbalife Program works even if individuals do not or cannot exercise. Many people cannot exercise because of serious injuries or other health programs. Even these individuals can use the Herbalife Program to lose weight successfully. Is There Enough Fluid and Fibre in The Herbalife Program? Yes. When followed as recommended, the Herbalife Program provides approximately four pints of liquid and 25 grams of fibre. This is more than is found in the average diet of industrialised countries and is the level recommended by health authorities world-wide. Is The Herbalife Program Recommended By Doctors? Absolutely. Herbalife has a Nutritional and Scientific Advisory Board that tests and researches Herbalife products and continually monitors reports of results sent by customers and distributors. *Results may vary. Remember that regular exercise, balanced nutrition and a calorie controlled diet are the basic requirements of any successful weight control and maintenance program. Herbalife is not to be used as a medication.